“I don’t have anything but I have everything!” | Walk with us! Frater Juan Carlos Castañda Rojas, a seminarian doing his pastoral year in Brazil, shares the following reflection. He wrote it after learning of the death of Br. Gabriel Kersting, who died on April 7. He explained to us that it meant he did not have any money, property, or valuable material things but that at the same time he had never missed those things because he had everything he needed thanks to the congregation. If he was sick he would get medicine or be able to visit a doctor. He was able to complete his education, and if he was hungry he knew he would always have food from the community. Those words truly stayed with me “I don’t have anything, but I have everything.” When I got the news last week that Br. Gabe had passed away, those words resounded in my heart and my mind like a burning fire. 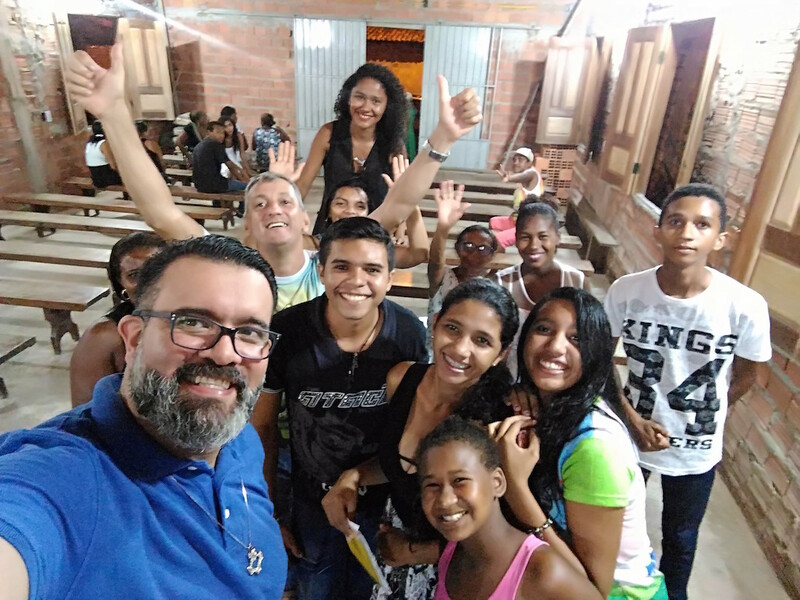 Today as my pastoral year continues in Brazil and I have been able to see the difficult life situations of many poor people here, those words have become even stronger in my life as a foundation of growth in my vocation. “I don’t have anything, but I have everything.” As I see the difficult situations of the people by doing what our founder Fr. 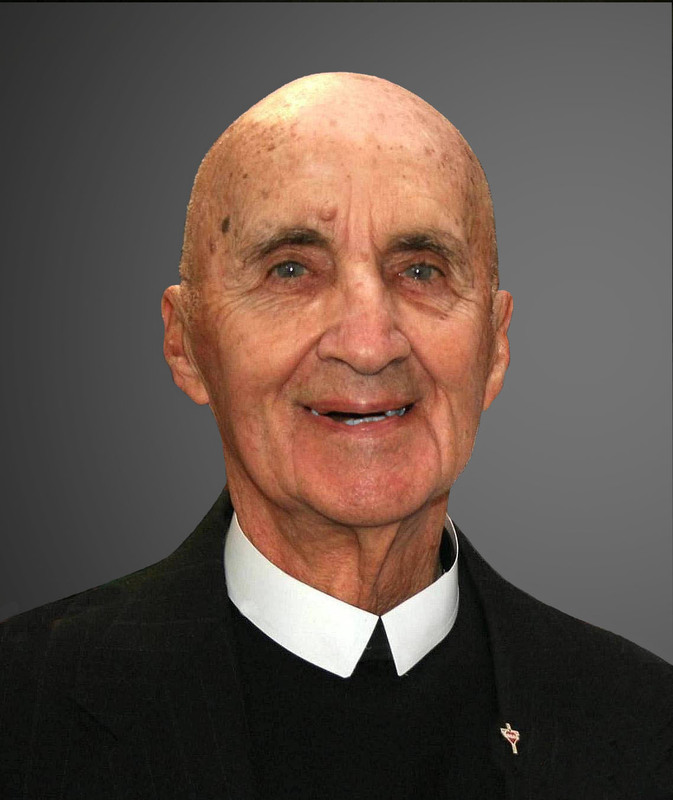 Leo Dehon taught us, which is to be among the poor, the most vulnerable, and marginalized, I appreciate how these humble, wonderful people, in their own way, also live the words of Br. Gabe. They live in very humble homes, some made with clay and with only roofs made of palms leaves, some with floors made of dirt and walls made from old boards. Many families sleep in hammocks because they don’t have money to buy beds for everyone and in many cases because their homes are so small they don’t have enough space. But despite living situations that for many people would be unbearable, they are the most welcoming people I have ever encountered, sharing the little that they have and always with a warm smile in their faces. I have been in their homes, and shared a meal with them and even experienced sleeping in a hammock, which to be honest I found more comfortable than the bed. Some of them said that I was becoming a native like them because I slept in the hammock but that to become a true native I had to get used to the heat, which has been difficult for me to bear. I was very moved as I visited different communities including the churches they built to have a place to celebrate mass and live their faith. Because many of these people live far from the parish or matriz, which is how it is called here, there is a need to create a place for the small neighborhoods. Brick by brick and with the collaboration and effort of the entire community and sharing the little that they have, they build their sacred place to live their faith. Amazingly a parish can have 20, 30, 50, or even 130 communities and all of them created by the effort of these people. “I don’t have anything, but I have everything.” These people live in extreme poverty, without a proper water system, and are exposed to many illnesses caused by mosquitoes. But if you go along the streets, which also are in very bad condition, you can see many families sitting outside their homes. Some are playing cards, others just talking, and many trying to avoid the high temperatures because of the lack of fans or air conditioning. In one of my most recent visits to one of the communities, I was very moved when I heard how they were building their church. The church was just unfinished walls, flooring, and seats made with old wood. And there were no fans despite the very hot weather. But in my eyes it was the most beautiful place I have ever seen. I felt the love of these people and the price of what they had so far achieved. It is true that I have seen many amazing art woks, churches that are incredible because they are huge, stylish, comfortable, and historic. But this place, this unfinished place, had been created through more faith, love, devotion, and sacrifice than many of the most beautiful ones I have visited. As in other communities, people received me with open arms and a beautiful sincere smile on their faces. And there was also some laughter because I was sweating heavily because of the heat. But after we celebrated mass, many people came to give me a hug and welcomed me to take some selfies. That place became the most beautiful place I had ever seen not because of its walls or the roof or the seats that made up the church. The beauty was in the heart of the people who were truly building community, building a church. I have come to understand the meaning of those beautiful and powerful words. Because of the many experiences I have had during my time in the Congregation of the Priest of the Sacred Heart, I know that I have not just the material things to cover all my needs but also and more importantly the spiritual and moral support of my brothers in the community. I know that there is and always will be someone to walk with me, to care about me, and to be a companion in this amazing journey of our vocation. I don’t have anything but I have everything and I am privileged because I am part not just of a congregation, but a great family which takes care of each member of this family. My novice master once told me that our vow of poverty invited us to live simply but that it is also a reminder that we may have more privileges than most people. Thank you Fr. John (muchacho), I truly understand those words and our invitation to recognize the needs of others and to be among them and experience their needs by putting ourselves in their place. By putting our privileges aside and humbling ourselves, we can truly experience their needs and also their joy.